We all know that outdated processes tend to linger long after a compelling case has been made to move on to modern technology. Tradition is often cited as the reason but once the change has been made no-one ever goes back. 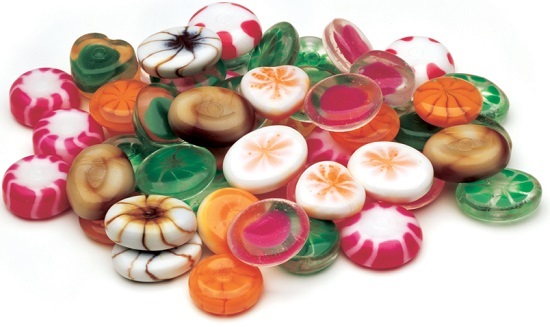 That surely is the case with die-forming: once the standard technique for production of hard candies, but now overtaken in every respect by depositing. Die-forming developed as an automated version of the time-honoured manual method of making hard candy: pouring syrup onto a cooling table until it becomes plastic, pulling it into a rope, and cutting it into pieces. The problem, it seems clear, is that die-forming retains all the inherent disadvantages of the manual process. Air bubbles lead to a loss of clarity and sharp edges, and there is an unsightly flash line where the two halves of the die meet. Die-forming more often than not produces significant quantities of costly, out-of-specification product at the beginning and end of each run – or when a rope breaks. With die-forming, rapid forming of a plastic mass leads to an inconsistent product, especially when the plasticity varies. The process relies on pressure-induced flow forcing the product into the die; there is always the possibility of inconsistent die-fill as the resistance of the mass varies. Die-forming is also a high-speed, single-row process needing high levels of operator and maintenance attention to keep it running smoothly. The weakness I would find most frustrating is that product innovation and appeal is strictly limited with die-forming. Fillings can be added, but have to be extremely robust to cope with the insensitive process. Stripes are possible but have to run in a straight line throughout the rope. Swirls and layering are simply not possible. Contemporary ingredients such as Xylitol cannot be used. By contrast, and without going into detail, depositing produces a wider range of higher quality products with greater efficiency than die forming. There is consistency of quality and appearance; a more regular, consistent shape; very high levels of efficiency; and much greater flexibility. 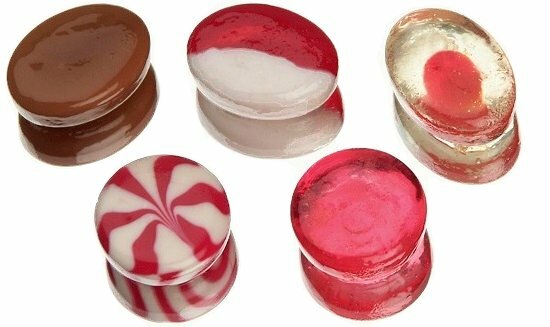 So why do some confectioners continue to invest in die-forming lines? A perception of lower capital cost is one possible reason, particularly where volumes are low. However, once higher operating and maintenance costs are taken into account, the case for die forming is no longer clear. If superior product quality, higher output and greater scope for innovative product development enter the equation, it swings decisively in favour of depositing. I would argue that, for ambitious companies, die forming can only ever be considered a short term solution. Which begs the obvious question: why waste time and money? Move straight to depositing, and there’s no need to re-invest or change a product range - and there is protection from a competitor entering the market with a superior product.